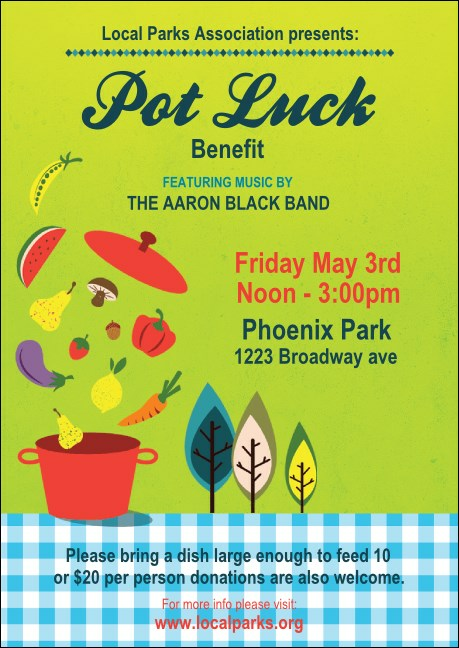 Send out a friendly and tasty reminder with the Potluck Benefit Postcard. This postcard template is perfect for a neighborhood picnic, with a bright gingham tablecloth and a fresh green background. Healthy fruits and vegetables burst from a pot, ready for guests to dig in! Send a smile with the right postcard from TicketPrinting.com.